Maximize your space in style with this three-tier metal wall rock from Studio 350. This elegant organizer, made from premium-quality iron, highlights three rectangular slanted frame allowing you to pull your chosen reading material with convenience. 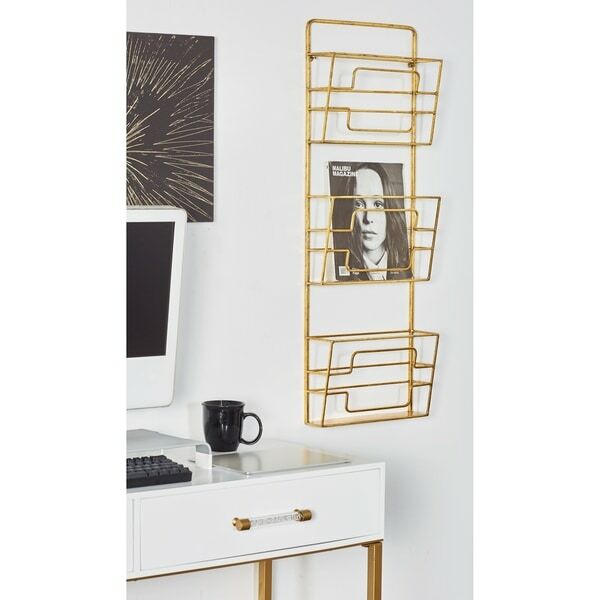 Its gold finishing gives this rack a prominent look while a long d-shaped hook ensures easy mounting. A space-saving organizer, this basket rack is perfect for homes and offices with limited space. Dimensions 13.0 In. X 4.0 In. X 36.0 In.